While millennials are well aware of the importance of saving for retirement, many cannot afford to do so, a Wells Fargo survey found. Millennials know they need to save, yet 40% have "overwhelming" debt loads. Just as the Great Depression informed an earlier generation, the recession of 2008 has taught millennials a valuable lesson. Eighty percent of millennials in a new survey by Wells Fargo said the recession of 2008 had convinced them they had to save “now” to “survive” economic difficulties later on. Still, 55% of millennials said they were saving for retirement: 61% of men and 50% of women. Well Fargo said the difference in saving rates may have to do with the fact that millennial men reported median annual household income of $77,000, while women had median income of $56,000. For college-educated millennials, median annual household income is reported to be $83,000 for men and $63,000 for women. About half of all millennials reported satisfaction with their savings at this point in their lives, but the gender discrepancy was pronounced, with 58% of men feeling satisfied, compared with only 41% of women. “The silver lining of the recession that started over five years ago is that a majority of millennials get that saving is a necessity and even equate it with ‘surviving’ tough times,” Karen Wimbish, Wells Fargo’s director of retail retirement, said in a statement. Forty-two percent of millennials said debt was their biggest financial concern at present, and 40% said their debt was “overwhelming,” versus 23% of baby boomers who felt the same. Forty-five percent of millennial women said they felt overwhelmed by debt, whereas 33% of millennial men felt that way. Twenty-nine percent of millennials said their number one financial concern after paying day-to-day bills was paying off student loans. Forty-four percent of boomers cited saving for retirement as their top financial concern. Despite the student loan albatross, 76% of millennials said their college education had been worth the cost. Among all millennials, 47% were allocating half or more of their paychecks to these types of debt. Gender differences popped up again in questions about progress in accumulating investable assets. College-educated millennial men reported median household investable assets of $58,500, while college-educated millennial women reported $31,400. Of millennials who had started saving, 46% were saving between 1% and 5% of their income for retirement, 31% were saving 6% to 10%, and 18% were saving more than 10%. 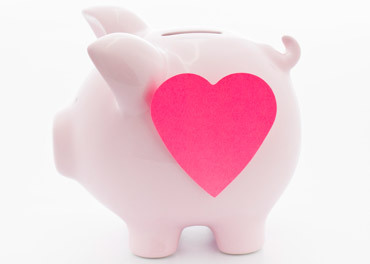 Fifty-three percent of women reported saving between 1% and 5%, versus 39% of men. About a third of both women and men were saving at the 6% to 10% level. And 26% of millennial men were saving at a rate greater than 10%, while only 9% of women were doing so. Seventy-two percent of millennials were confident they would be able to save enough to create the lifestyle they wanted in the future, but only 63% of women expressed confidence, compared with 80% of men. Of the 45% of millennials who were not saving yet, 84% said this was because they did not have enough money to save at present, with no difference between genders. Wells Fargo said that, perhaps as a way to lock down a savings discipline, 56% of boomers and 55% of millennials favored a mandatory retirement savings policy. Eighty-four percent of millennial men and 70% of women expressed confidence that they had the knowledge to address any financial problems in the next 10 years. Despite their confidence, 40% of millennials said they had “no idea” what amount would be necessary to meet their retirement needs. Thirty-one percent said would need less than $1 million, while 15% said they would need $1 million to $2 million. In contrast, 54% of boomers couldn’t estimate how much they would need in retirement, with 12% saying $500,000 to $1 million and 12% saying $1 million to $2 million. Majorities of both millennials and boomers said the stock market was the best place to invest for retirement. However, only half of millennial women versus two-thirds of millennial men agreed that the stock market was the best place to invest for retirement. A quarter of those respondents who were saving for retirement weren’t sure how much of their savings were invested in stocks or mutual funds. About a fifth of millennials currently saving for retirement said they were invested 100% in stocks or mutual funds, while a quarter said they were in a range of 50% to 75% in stocks or mutual funds. About a third said they were invested 25% or less in stocks or mutual funds. As to whom they trusted for credible information to help them make financial decisions, 57% of millennials cited family, 54% financial institutions and 50% personal finance experts/personalities. For their part, 57% of boomers trusted personal finance experts/personalities, 45% financial institutions and 40% family. Although 55% of millennials didn’t think they had enough money to have a financial advisor, 16% were using a paid professional. Fifty-nine percent of respondents who didn’t use a paid advisor said they would prefer a “seasoned” one, while 26% would look for an advisor closer to their age who would potentially better understand their financial goals. Millennials felt confident in many aspects of their personal lives, with 69% saying they felt better off financially than others in their own generation. In addition, 68% expected their standard of living before retirement to be better than their parents’. Eighty-four percent of millennials feel they had the skills to succeed in their career goals when they are 40, and 78% believed that if they lost their job they could find a comparable one within a year. Women and men millennials felt differently about building their careers, with one in five millennial women “worried” about their ability to build a career in their desired profession versus one in 10 millennial men. Check out 7 Things Advisors Must Know to Win Young Male Clients on ThinkAdvisor. That's one year later than last year's projection.